Dedicated to her profession, DI Joanna Piercy has built her imposing reputation on thorough investigative police work. However, the job that once excited and intrigued her has now fallen into a familiar pattern of form filling and snide office banter. Distracted from her duty by her recent miscarriage and split with her partner, Matthew, Joanna is battling through this painful emotional period alone. She finds solace in her work, yet her focus and coherency are out of sync. She resorts to formulaic solutions to resolve her cases, having seen the same situations time and again. So when Arthur Pennington enters her office in a state of confused distress and reports that his wife, Beatrice, is missing, Joanna does not reciprocate with the same emotion. Convinced that his wife is merely involved in an extra-marital affair, Joanna is dismissive of Arthur's concerns. But when Beatrice's strangled body is discovered recklessly dumped on the Leek moorlands, she is forced to revaluate her stance. Unbeknown to even her closest family, Beatrice had been harbouring a secret and dangerously obsessive infatuation, which stemmed from her deep-rooted insecurities and low self esteem. And Joanna knows well that unrequited love can not only be hurtful, but fatal! Continuing the DI Joanna Piercy mystery series, Wings over the Watcher delves deep within the complex puzzle of the female psyche, examining the warped impact marital neglect can have on a woman's mental stability. 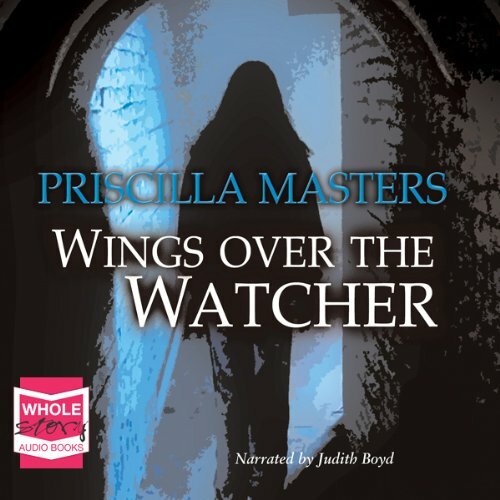 Joanna Piercy, DI, is the British Police dective protagonist of this (and several other) novels by Priscilla Masters. . I do not know where the titles of the books in this series come from--they seem to bear no relation to the stories.....could be some literary reference I missed :-). Inderlying themes in this book made it stand out and stay in my thoughts--a lonely, neglected and deranged housewife who becomes a stalker of her female doctor, whose marriage is bad enough to suspect the husband of the murder, and DI Piercy--a protagonist who is kind and methodical and never assumes anything without fact. The human interest factor probably will keep me following this author. This is one of the early offerings in the Joanna Piercy series, and I have hopes that their plots will get tighter as we go along. There were so many twists and turns that at times I got impatient at times. For this novel, a strong editor might have pulled it together so that it wasn't so all-over-the-place. Of course that keeps the reader guessing until the end, and nothing is obvious. Somehow, even though it doesn't hit the mark as a whole, I want to see what Priscilla Masters does with subsequent books in this series. .
My favorite g3nre -a British mystery. A rural detective team, the murder of someine too dull to madden any kind of killer, lots of interviews and , finally, a twisted ending. What could Priscilla Masters have done to make this a more enjoyable book for you? A good tale, well read but with big errors in the way the police operate. This is a personal niggle so hopefully wont put off anybody else in listening to it. If however you know a thing or two about procedure, you will be irritated. A minor gripe.